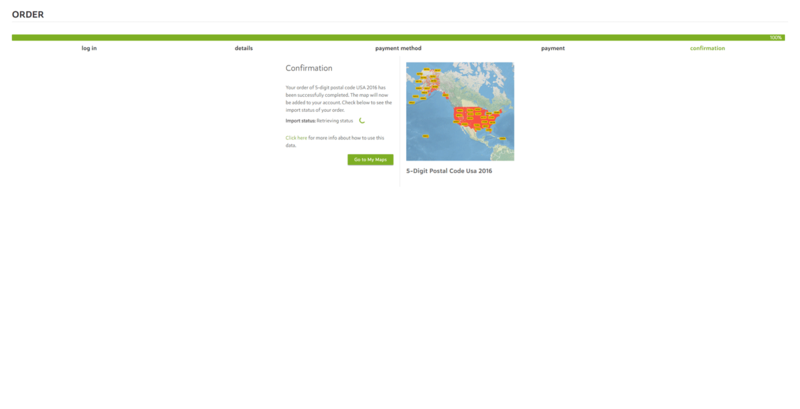 Spotzi accepts Paypal payments. 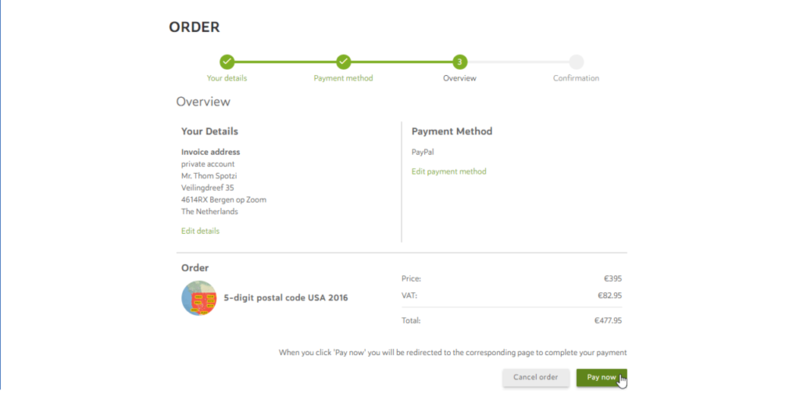 After you have entered your credentials or logged in you can choose a payment method. 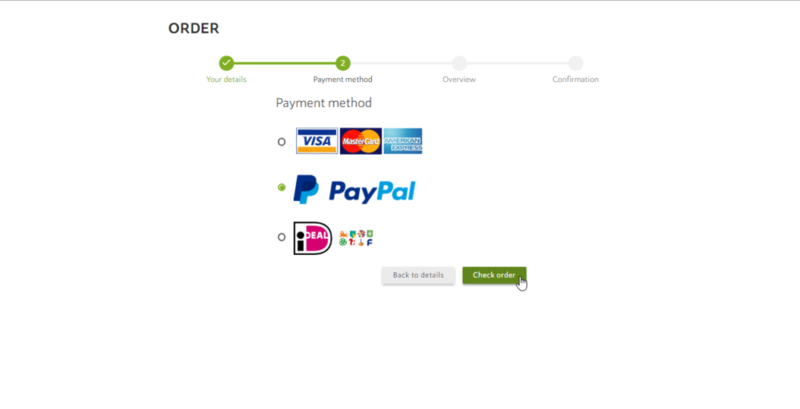 Select the Paypal option and click the CHECK ORDER to confirm your payment method and go to the order overview. Now you will see the order overview with the data/map you want to order and your details. Are your details correct? Press PAY NOW to confirm your order. Now you will be redirected to the Paypal payment terminal. 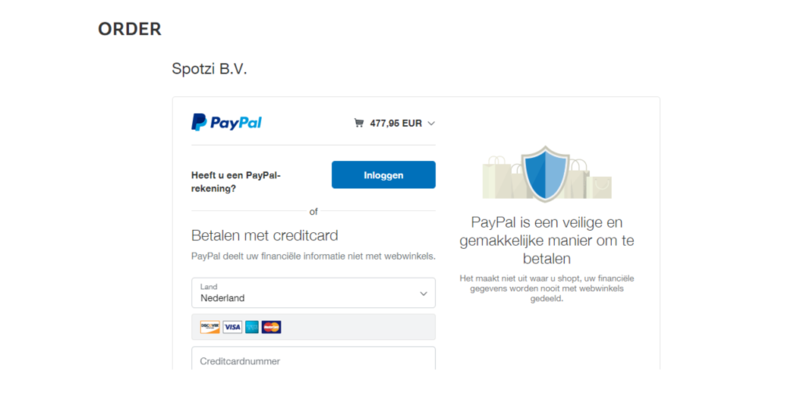 Now you wil get the option to login to your Paypal account or if you want to make a one-time payment with your creditcard. Follow the steps in the Paypal terminal to complete your order.